Jewish Humor Central: A Joke to Start the Week - "A Trip to Miami"
We're in the middle of a month of holidays, and this year none of them fall on Monday. So we're happy to be able to continue our tradition of bringing you a joke every Monday to get the week off to a funny start. Once again we're dipping into the archives of Old Jews Telling Jokes to bring you another classic old joke. 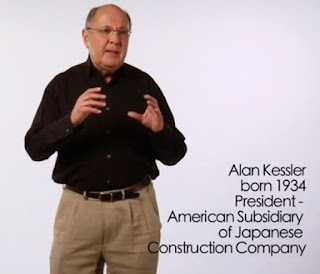 This one is told by Alan Kessler, the president of an American subsidiary of a Japanese construction company.